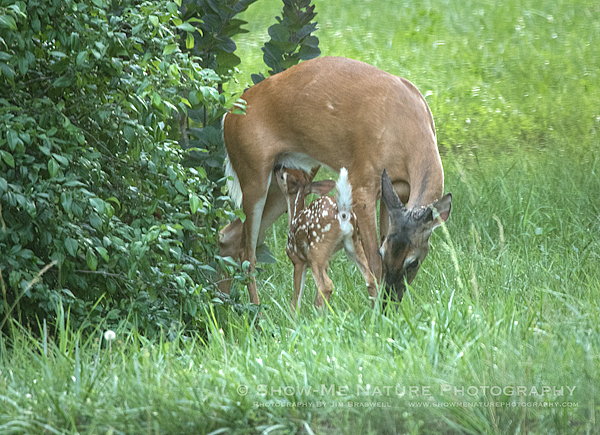 If you recall a recent post featuring a very young white-tailed deer fawn, I had an enormous amount of difficulty trying to photograph it as the doe and fawn grazed about my front yard; the lighting was very low, and I had to shoot through a double window and screen. I have been waiting and watching for their return, but until Saturday night had not seen the two. 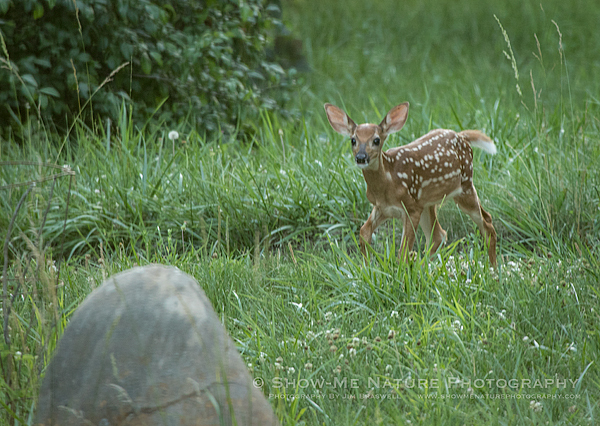 Early evening on Saturday, my drive alarm again sounded. 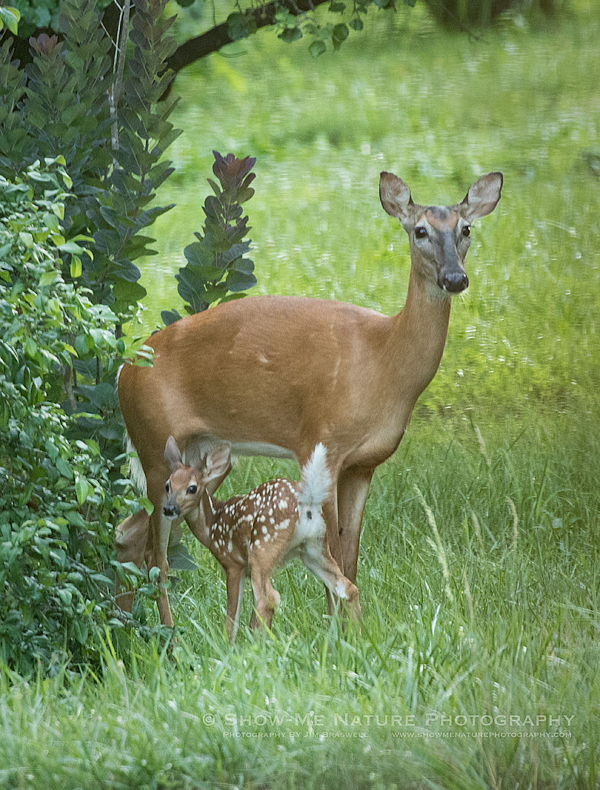 Getting up to see who/what was coming up my drive, I was pleasantly surprised to see mom and fawn again, interrupting an otherwise quiet and boring Saturday night! 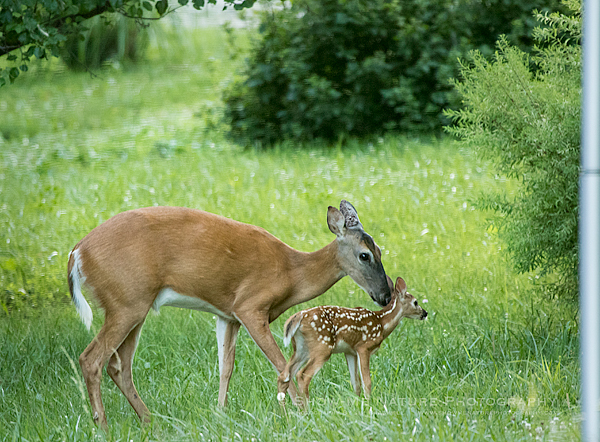 Tags: 2018, behavior, Blog, Cass County, cute, deer, mammals, Missouri, nature, nature photography, photography, spring.